This category should be empty of directly linked articles. It should contain categories of articles and categories of categories needed to maintain Marspedia. 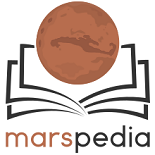 You can help Marspedia by improving articles that are in the categories linked here and by adding articles to maintenance categories as appropriate. This page was last edited on 11 November 2017, at 21:09.